Well, things have been slightly picking up thanks to the smaller surf and disappearing salad from the water. 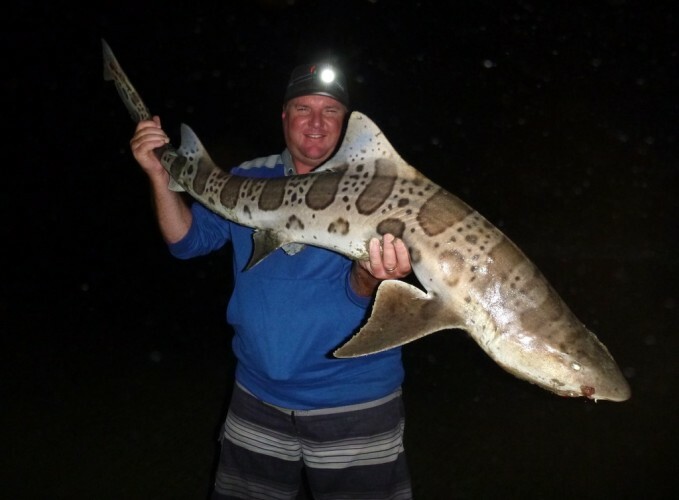 Here a few anglers got into some nice leopard shark action between the bass and eels. 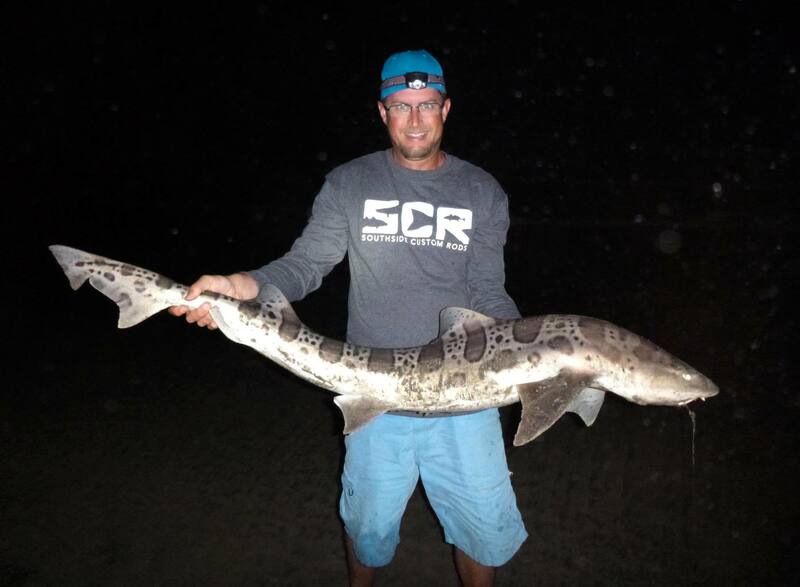 One of the hi-lights of this trip was to watch a Virginia Beach boy finally get his first leopard shark after trying for 4 years. 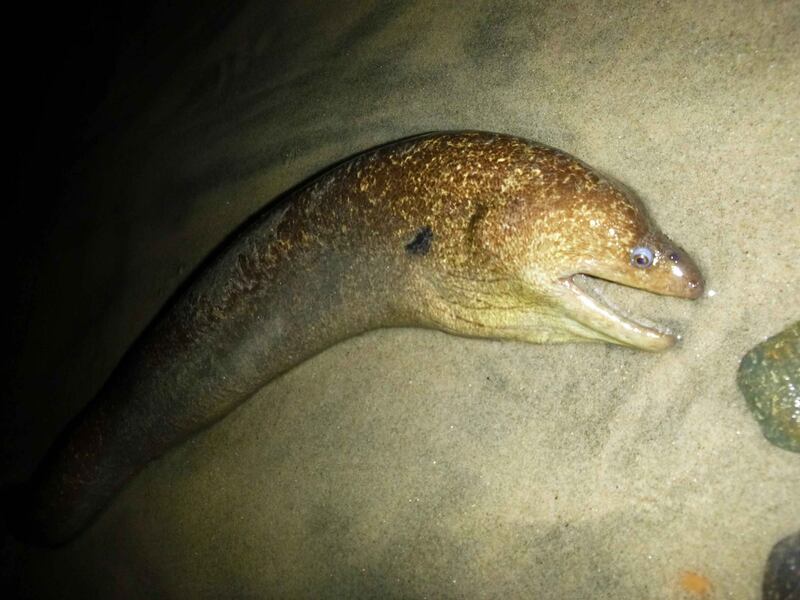 All he’s heard was how easy they were to catch, but on his last 4 visits, have found everything but leopard sharks. Dave also got one of his biggest leopards that was about or over 5-1/2 feet. They are a welcome sight and be sure to follow the link to read up on some of the most recent adventures.